Thirty stories above the Upper East Side, this top floor apartment has panoramic views, and a sophisticated interior. 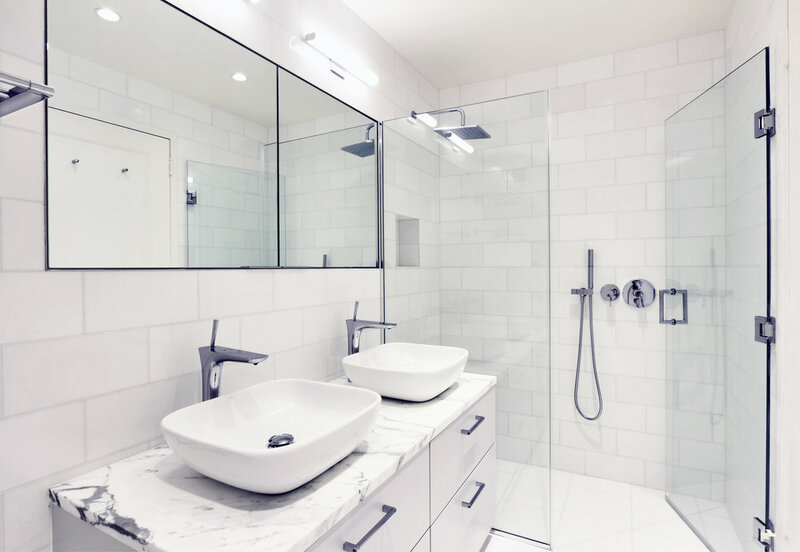 Originally, this building was developed as a rental and when the owners purchased it as a condominium they asked us to reconcile much of the quirky geometry and update the fixtures and surfaces in the bathrooms. The result is a sleek, simple space that increased the openness of the plan and enlarged the working square footage in the main bathroom by removing a tub to expand the walk-in shower. To reduce the energy consumption while increasing the illumination we updated the fixtures with recessed LEDs.